Union Corrugating Company, a portfolio company of Industrial Opportunity Partners (IOP), has acquired Reed’s Metals. IOP purchased Union Corrugating in December 2016. Reed’s Metals is a manufacturer and distributor of and pre-engineered metal buildings. The company’s products are used by contractors, wholesalers and homeowners in residential, commercial, post-frame/agricultural and other industrial applications. Reed’s, headquartered south of Jackson in Brookhaven, MS, was founded by CEO Bernard “Bernie” Reed in 1998. The company has approximately 245 employees and has seven manufacturing facilities located in the Southeastern US (www.reedsmetals.com). Union is a manufacturer of metal roofing systems and roofing components that are used in residential, commercial, and agricultural applications. The company serves over 1,200 customers in 30 states and sells through home centers, lumber retailers, wholesalers, and contractors. The company, led by CEO Keith Medick, has approximately 300 employees and is based in Fayetteville, NC with 10 additional manufacturing and distribution facilities located throughout the Southeast, Mid-Atlantic and Midwest (www.unioncorrugating.com). Reed’s will operate as a separate business unit of the Union platform and will continue going to market under the Reed’s brand. 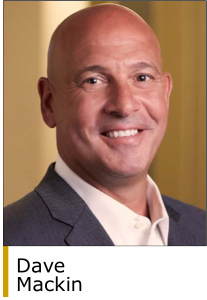 Mr. Reed and other members of the company’s senior management team will have equity interests in the combined company and will remain in their current leadership roles. IOP Operating Principal Dave Mackin will remain as Chairman of Union, overseeing both Union and Reed’s. “We believe Reed’s has an established brand known for excellent customer service, delivery and quality, which is a testament to what Bernie and his partners have built over the years,” said Mr. Mackin. 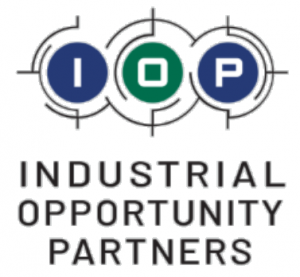 IOP focuses on acquiring middle-market manufacturing and value-added distribution businesses, typically with revenues between $30 million and $400 million. The firm targets businesses with strong product, customer, and market positions and provides both management and operational resources to support sales growth and operational improvements. IOP is headquartered in the Chicago suburb of Evanston (www.iopfund.com). VRA Partners (www.vrapartners.com) was the financial advisor to IOP and Union on this transaction and Generational Equity (www.genequityco.com) represented the shareholders of Reed’s. Regions Bank and Patriot Capital provided debt financing to support the transaction.